A stunning masterpiece of imagery and colour! 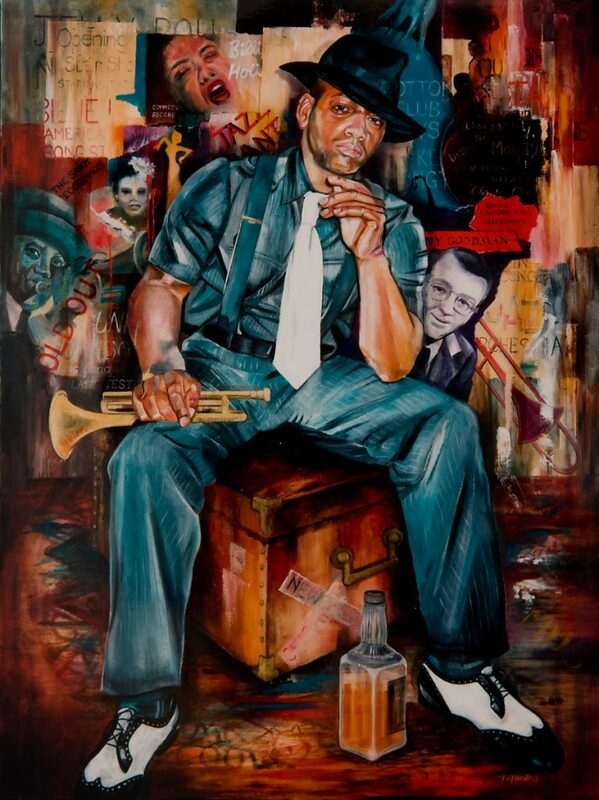 A jazz musician sitting on a trunk, taking a break, cornet in hand and a bottle of Bourbon at his feet. Beautiful strong colours incorporating not only the central figure but the ripped posters of all the late great artists as a back-drop behind him, make this an incredibly inspirational work of art.